What do you know about the students in your classroom? How many of them are first generation? Who among them has served in the military? Which ones are in recovery for substance use? Who has children at home that they are responsible for? Are there other dimensions of your students' experiences that might fall outside of 'traditional' expectations for U-M students? According to a recent focus group study conducted by U-M’s Center for the Education of Women, 92% of student respondents who identify as “nontraditional” identified multiple markers of nontraditional status and 38% percent of respondents described their nontraditional status as a combination of five or more identities or life experiences. While some of these statuses were linked to visible identity categories, many of them were based on experiences that are not readily legible (e.g., being a veteran or being a commuter). However, these nontraditional experiences play a key role in how students experience the university, both inside and beyond the classroom. So how can instructors better understand these experiences to leverage diversity in the classroom and create inclusive learning environments? 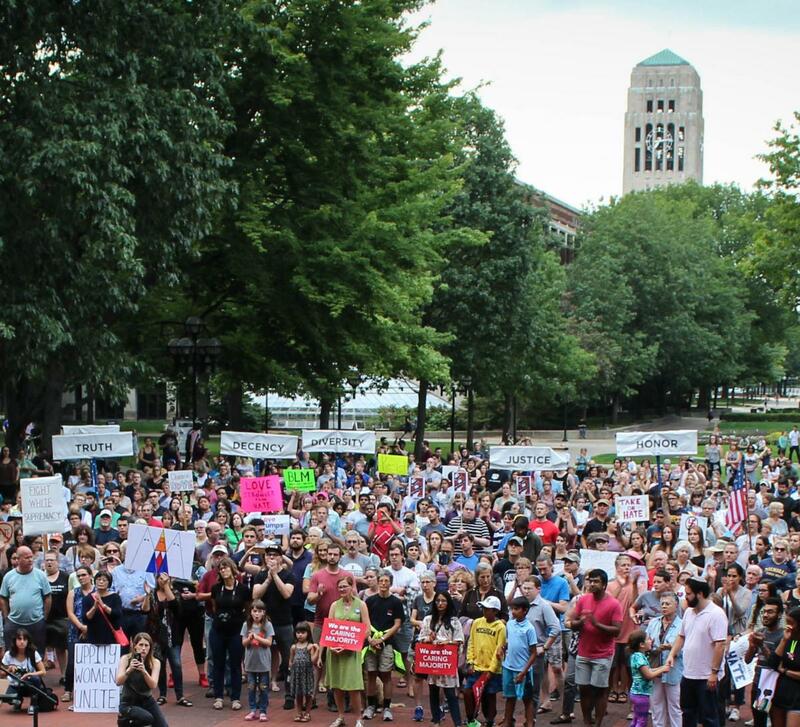 We return to teaching this semester in the wake of deadly white supremacist violence in Charlottesville and groundswells of resistance around the country. At such a critical moment in our nation’s history, instructors across campus are especially aware of how broader national conversations, conflicts, and movements are likely to enter and affect their classrooms, labs, and studios. As college campuses are being targeted by hate groups, the potential for violence on campus feels very real. President Schlissel has said, “The actions of the hate groups and white supremacists who caused death and injury in Charlottesville are a horrific reminder that there are those among us who would use our differences in the name of evil. Their despicable bigotry is antithetical to our values at the University of Michigan and to all we hold dear as an academic community.” It’s an anxious time to be starting to teach. As we move into the semester, we offer some guidance about related questions and concerns we have been hearing from a range of U-M instructors. Each topic below can be expanded by clicking the small arrow at the left. Depending on your discipline, course content, and identities you may be planning on squarely addressing the recent violence in Charlottesville. Or, knowing your students might bring it up whatever the discipline, you might simply like to understand better the contexts and implications of that white supremacist rally on a college campus. Many resources have been circulating that you may find useful. These include a Charlottesville syllabus hosted on JSTOR, focused broadly on the history of racism and anti-Semitism in the U.S. and a Charlottesville syllabus created by graduate students at the University of Virginia, focused more tightly on “the long history of white supremacy in Charlottesville.” Both of these include resources you could share with students or use to enhance your own understanding. At a time when hateful ideas are being openly shouted in public, it is especially important to have explicit conversation with students about how you want to engage with one another in the academic community of your classroom. Participation guidelines are a simple but powerful tool to launch such a conversation and help foster a learning environment where multiple, even conflicting, perspectives can productively be shared and discussed. Such guidelines can be shared with students or collaboratively generated with them. You can revisit guidelines when you are framing topics that are likely to cause some disagreement or tension -- or when such topics spontaneously arise. Even if your course content does not address such topics, guidelines can be very helpful for establishing norms of behavior to help guide interactions in groups and teams as well as in full-class settings. There are many additional ways to set a tone for inclusion in your classes, including making intentional efforts to build rapport (through regular ice-breakers, small group work, and other interactive opportunities), modeling inclusive language, and addressing problematic patterns of interaction early. Many instructors are worried about new potential for conflict to arise in their classrooms, especially as tensions outside of class can affect the ways students interact with their classmates. Preparing for the unexpected, as this resource on ‘making the most of hot moments’ helps instructors to do, can be especially important for increasing both your skills and confidence. If tensions arise, let yourself take a moment to decide whether you want (or need) to respond to them in the moment or simply acknowledge the dynamic, ask students to bracket the conversation, and return to it after opportunity for further thought and planning. Strong emotion can often be a catalyst to learning, so if possible, be flexible with your plans to give fraught exchanges some space. This resource on discussing difficult topics provides guidance on framing and actively facilitating challenging conversations in order to support inclusion and learning. What are the circumstances in which I would ask a student to leave the classroom because they are disrupting the learning environment? Are there scenarios in which I would dismiss the whole class? How could I do that safely? What might I do to help myself and my students feel safe? To whom would I turn after such an incident, for support, processing of next steps, and broader institutional response? These could any include any and all of: campus police, the Dean of Students office, the dean for academic affairs in your unit, your department chair, your teaching mentors, and your mental health support network. You can also call CRLT at 734-764-0505 during business hours to talk with a consultant about critical incidents in your classes. We can help you process the experience, strategize about next steps, connect to other resources, and think about how to return to the classroom. For times when hate or violence emerges on campus outside your classroom -- which is likely to affect many students’ experience inside your classroom -- this recent blog on responding to incidents of hate speech offers additional guidance. Ideas include acknowledging the events and the negative effect they may be having on students’ learning (with different students likely being differentially affected, based on the social identities that have been targeted) as well as connecting students to campus support resources and finding ways to leverage your course content to help students understand and respond to emerging events. Students across many different identity positions are feeling threatened in this time--regarding their personal safety, the integrity of their families, or their freedom from identity-based harassment. While many find it possible and even helpful to focus on their schoolwork in such a climate, many don’t. After high-profile hate incidents, many have trouble attending class or completing assignments or group projects for their courses. This blog on supporting students in distress provides ideas about responding compassionately while maintaining the boundaries of your instructor role. Ideas include pointing students to mental health resources as well as activating their campus support network, which might include academic advisors as well as the Dean of Students office. It is probably also wise to be ready to support students in responding to threats or incidents of violence based on their race, religion, ethnicity, gender identity, or other identities. As a teacher, you may be a key contact and point of connection to the institution for your students. You have an opportunity to make sure they are aware of steps they can take if they experience or witness threats, violence, or other identity-based crimes against their property or person. These include knowing that in any emergency they can call 9-1-1 to reach U-M police. Students can also reach out for support and advocacy to various student life offices, including Multiethnic Student Affairs (MESA) and the Spectrum Center. Guidance about what and how to report can be found on the University bias reporting website. It’s important to keep in mind that, for various reasons, students will have different levels of comfort accessing any given resource, so it’s useful to be ready to share information about a range of options. Moreover, your own compassion, advocacy, and flexibility can also be critical resources for students affected by violence toward or around them. Different members of our teaching community are doing different kinds of emotional labor in this time, depending on our own positionalities and the number of students and colleagues who perceive and depend upon us as allies. This blog by Kerry Ann Rockquemore offers concrete ideas, strategies, and language for maintaining boundaries with both colleagues and students that allow instructors to strike a healthy balance of meeting professional commitments and personal needs. Though this blog is written for an audience of faculty of color, it provides useful insight for all instructors--both because it provides some generalizable self-care strategies and because it can increase everyone’s appreciation for the disproportionate strain on some colleagues of supporting students in this challenging time. For those feeling guilty about taking care of themselves, this post by Shanesha Brooks-Tatum provides a reminder that self-care can be a political and subversive act rather than a selfish or individual need. This Faculty Focus blog speaks to the importance of self-care for instructors over a longer term and not just in moments of crisis. As always, CRLT consultants are available to consult with you about a wide range of issues in your teaching. Whether you want to plan a course, discussion, or assignment or think through how to respond to challenging dynamics or a specific incident in your classroom, you can request a consultation through our website or call us at 734-764-0505. Photo credit: Amber Hughson Image used with permission of the photographer. 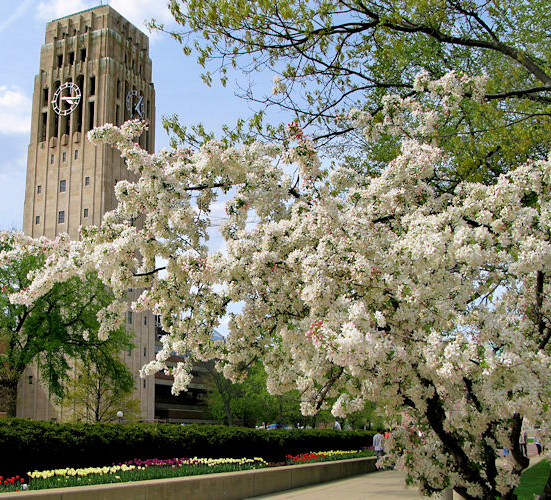 Is CRLT still available to support U-M teachers during the summer? Indeed, we are! If you're teaching a course in one of these terms, you can request a Midterm Student Feedback session led by one of our consultants. CRLT staff are also available to discuss the student ratings from past courses or to consult on course design and planning as you look ahead to the fall. We're happy to hear from you at any time of year! For our full range of consultation services, see this page. Faculty and GSIs from across campus are invited to register for the second annual Inclusive Teaching @ Michigan series. Instructors can register for any or all of over 15 workshops, panels, and presentations focused on a range of inclusive teaching topics. Sessions are free and open to U-M instructors in any field. Managing tense interactions or classroom challenges in ways that further all students’ learning. Some sessions are designed particularly for instructors who are relatively new to conversations about inclusive teaching. Most are designed for a broad range of instructors, including those who are seeking to develop their established inclusive teaching practices.